Fewer seniors go to emergency departments after paramedics check on them at home during non-emergencies, new research has found. The traditional job of paramedics is to rush to help victims of car collisions and other emergencies. When paramedics instead make house calls during non-emergencies, patients — particularly seniors — don't need to call 911 as often, new research suggests. In at least three provinces (Alberta, Nova Scotia and Ontario), health-care professionals are working to prevent emergency department visits at overcrowded hospitals by having paramedics make house calls. McMaster University and Hamilton Paramedic Service run the Community Paramedicine at Clinic (CP@Clinic) in social housing buildings. When patients in these buildings come to weekly drop-in sessions, a trained paramedic may take their blood pressure, assess their risk for falls and Type 2 diabetes and refer people when needed to a physician. As paramedic Joe Cox prepared to take Muriel Hart's blood pressure last week, he chatted with the 92-year-old about her plans to head to the United States in the fall, her gardening and how well she's feeling. She has no aches or pains. "My doctor thinks it's super," she said. "It keeps my mind at ease. This fella who is working today, he says, 'Take it easy. You're going fine and everything is perfect.' So your day is made." For Cox, those conversations and connections help residents focus on their own health needs. "I'm a big proponent of getting them into healthy eating. It's difficult because they used to cook for six but they only cook for one now." Many of the patients are reluctant to talk to their own family doctor about what they should be doing, said Dr. Gina Agarwal, an associate professor in the family medicine department at McMaster University. The program helps them to connect to resources to take charge of their own health. In a study published in this week's issue of CMAJ, Agarwal and her team reported that average ambulance calls in buildings with the community paramedic service fell to 3.11 calls per 100 units a month, compared with 3.99 calls per 100 units a month in control buildings. "We think that why that's happened is because we're actually targeting the population before they get to make the 911 call," said Agarwal, the study's principal investigator. In the study, participants said they had better quality of life outcomes, such as continuing their regular activities and getting more physical activity. "You can't underestimate the power of conversation and just social interaction, and I think that's what I'm most surprised about and most pleased about as well." Preventing a single 911 call could save an average of $1,600, Agarwal estimated, freeing up resources to improve people's health in other ways. Paramedic staffing is the main cost since they don't need much equipment and the university provided the training. 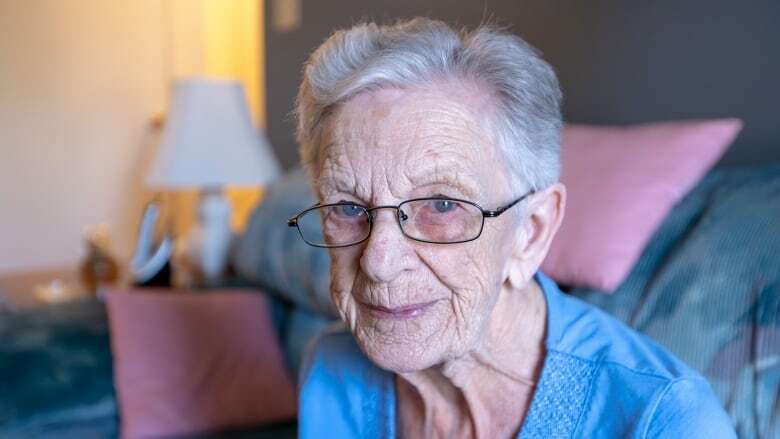 Nova Scotia's Extended Care program has paramedics work along onsite nurses in long-term care homes and primary care physicians to treat about 70 per cent of seniors on scene instead of transferring to the emergency department. "It has been huge," said Dr. Andrew Travers, Nova Scotia's medical director for emergency health services. "One of the things it shows is that paramedics and nurses and doctors can collaborate differently and change the normal anatomy of a 911 call." Travers said paramedics are always treating patients on the side of the road or in the chaos of a patient's home, which gives them a different perspective than people like him who work in an emergency department. "Paramedics are always seeing patients in different environments, and I think that nimbleness as a professional gives them the tools." Having paramedics work in public housing is a great use of highly skilled people with important assessment and triaging skills, said Dr. Joshua Tepper, a family physician in Toronto. He was not involved in the study. There's a lot of need for innovation in rural communities, inner cities and everywhere with an aging population, Tepper said. Community paramedics build ongoing relationships with patients at home when they're sick and well — a model he applauds. Tepper said he's often worked in emergency departments where he's seen patients come from a long-term care facility in the middle of the night, uncomfortable on a stretcher and disoriented by the transportation and the wait. Then he may quickly put a catheter back in or assess for nausea, which an outreach team could have done at the home. "I think we should worry less about creating turf and silos, saying only this type of provider can do this, only physicians can do this, only nurses can do this. What are the skills and knowledge we have that can safely deliver care and how do we work as a team?" In both the Hamilton and Nova Scotia programs, participants give their consent to share the information with their family physician to allow further care. The study was funded by the Hamilton Academic Health Sciences Organization and the Canadian Institutes of Health Research.